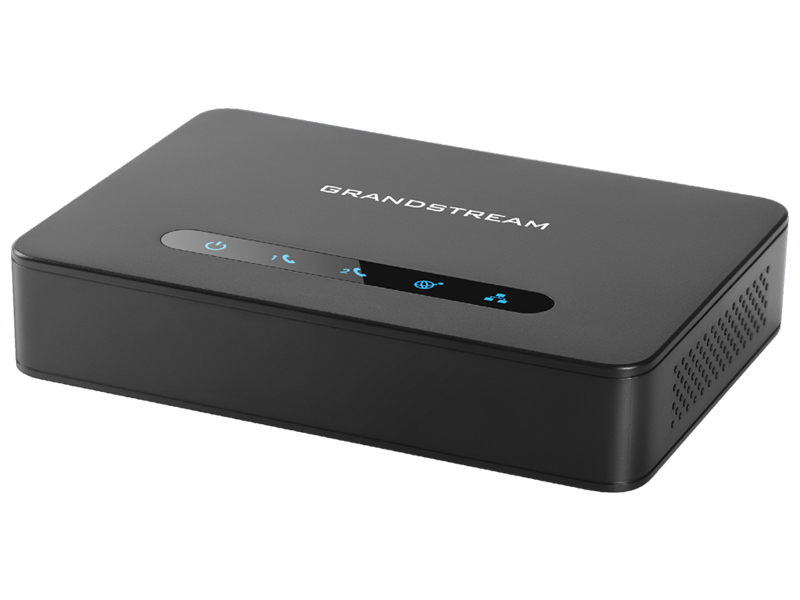 Grandstream's HT series of Analog Telephone Adapters (ATAs) offers a ton of features at an affordable price point. They are trusted and deployed by some of the world's largest service providers. The HT812 is a 2-port FXS gateway with a two-port gigabit ethernet router. It supports up to 2 SIP accounts. Next, update to the latest firmware for your HandyTone before connecting to our service. You can download the current production release from the link above. Once downloaded, you'll navigate to "Advanced Settings" and click the "Upload from Local Directory" button. Select the file you downloaded from Grandstream's website, and then click "Apply" once this has completed your device will reboot. You can then move on to the steps below. Select "Profile 1" from the primary menu, and and configure the following options for your SIP settings. The SIP server setting is a bold setting at the top of the page, and it is followed by the other two options in the following italic section. The "Request Routing ID" setting is near the top of the italic section and the "Allow Incoming" section is below the large white box for "Trusted CA certificates." Local SIP Port: 5080 - If you have more than one device at a site, each device at a site should have a unique port >= 5080. From the top menu bar, select "FXS Ports." To set up the first line with your T38Fax trunk, insert your Trunk ID and password into the first port. Saving the page will blank out the password field. In the image below, the fields boxed in red indicate changes necessary for primary line. It's possible to attach multiple fax machines, each with its own phone number, to a single HandyTone ATA using a single T38Fax trunk. You'll need to assign at one additional DID to this trunk for these instructions to work. To add an additional line, set the primary line's Hunt Group to "Active" and set the secondary line's Hunt Group to the primary line's port number (in this case, 1). Set the Request URI Routing ID on the secondary line to the additional DID you purchased. Here the trunk ID is 16467511475 and the extra DID is 12013562252. Outbound calls from this trunk will show the extra DID, 12013562252, as the caller ID; inbound calls to 12013562252 will route to port 2 instead of port 1. Port 1 will likewise service 16467511475. Both ports can even be on a call at the same time! In the image below, the fields boxed in green indicate changes necessary for registering a secondary line.